Here at SK Clinic in La Jolla, rhinoplasty, the process of reshaping the nose, is one of our most popular facial procedures. La Jolla rhinoplasty can involve making the nose smaller or larger, or reshaped to make it look more in balance with the rest of the face. Your nose can be sculpted by minimizing the nostrils, removing a hump or reducing a wide bridge, trimming the tip of the nose or giving it better definition. A rhinoplasty in San Diego can also improve breathing, so it is a functional as well as a cosmetic procedure. The concept of reconstructive nose surgery is nothing new. The first rhinoplasty was performed in 800 BC by Sushruta, an ayurvedic physician in ancient India and now considered to be the father of rhinoplasty. Descriptions of plastic surgery on the nose were published in ancient Rome in an 8-volume encyclopedia called De Medicina. 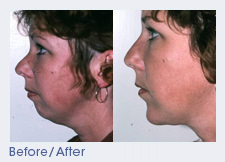 There are two different approaches to rhinoplasty San Diego. One is called a closed San Diego rhinoplasty and the other is called an open procedure. In a closed rhinoplasty San Diego, all of the incisions are contained inside the nostrils. Unless the size of the nostrils is reduced, the closed approach eliminates visible scarring. A small scar may also be unavoidable if the tip of the nose needs significant reshaping. In an open rhinoplasty La Jolla, a small incision is made on the small bridge of skin in between the nostrils (called the columella). This is in addition to incisions inside the nostrils. Some surgeons prefer the open rhinoplasty San Diego because it gives them greater control if there is to be detailed reshaping of the cartilage in the nose. Before your surgeon can plan how he is going to perform your San Diego rhinoplasty, he will need to have as much detail as possible about why you are unhappy with your nose and what result you are looking for. Showing him photographs of noses that you like will be very helpful. Prepare yourself for the possibility that, for reasons beyond his control, your surgeon may be unable to give you the result you desire. This is because people differ in the thickness of their skin. If your nose is naturally large and thick, it may not be possible to fashion a small, delicate nose. Additionally, people differ in the way their tissues heal and this, too, can have an influence on the outcome of your rhinoplasty in San Diego. 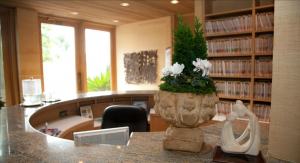 In the immediate aftermath of your rhinoplasty La Jolla, you may need to take over-the-counter pain relievers. Expect some swelling and bruising for around 10 to 14 days. You will need to keep your head elevated and very still for a few days after your rhinoplasty La Jolla and wait a few weeks before returning to normal levels of activity.